Discussion of the problems limiting the length of SRIO chains. Some causes of signal integrity problems in transmission lines are mentioned. A Working solution is presented. 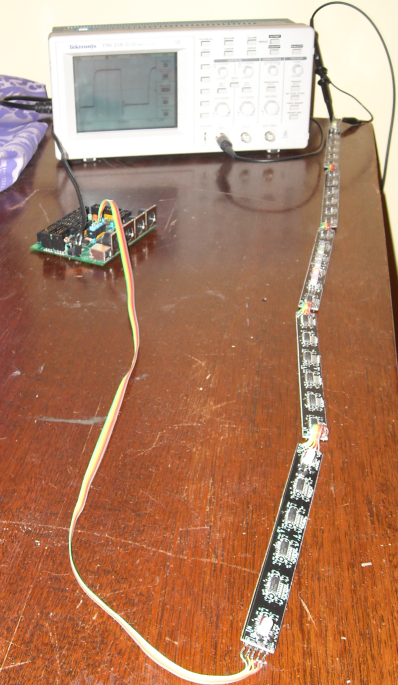 The problems limiting the length (physical length and the number of chips connected) of DOUT shift registers has been canvassed during the development of my Midi Keyboard LED Display (MKLD) project. MKLD Itself is the subject of an upcoming blog article. Suffice it to say for now that the design uses 24x 74HC595 chips to drive a display that covers a 4 octave keyboard. I intend to drive 2 keyboards this way adding up to 48 chips. A limit of 16 shift register chips in SRIO chains has been arrived at empirically. This has been based on the number of chips (contained in DOUT modules for instance) that can be reliably successfully controlled. MIOS32 can address an arbitrary number however, but problems can and will arise after a certain number of shift registers are attached. When the clock rate of data is high and the physical length of signal traces in long relative to it, the wave shape of signals can change to the point where the circuit no no longer functions reliably unless special steps are taken in the design to prevent this. In an absolute nutshell: voltage wave reflections due to characteristic impedance changes (particularly at the end of the line) interact with the distributed LRC impedances to produce ringing. 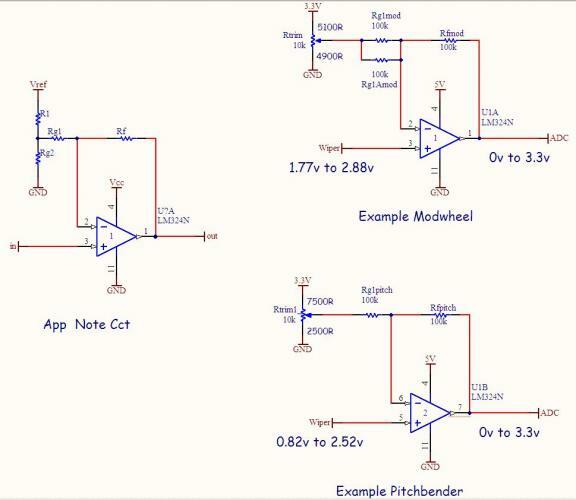 The article quoted above provides the estimate for a circuit board of 6.7ns/m for speed of signal. So in the case I have encountered with MKLD length of say 4m, signal travel time is around 30ns. The "crude rule of thumb" states that the rise time of my clock signal should not be less than 60ns. 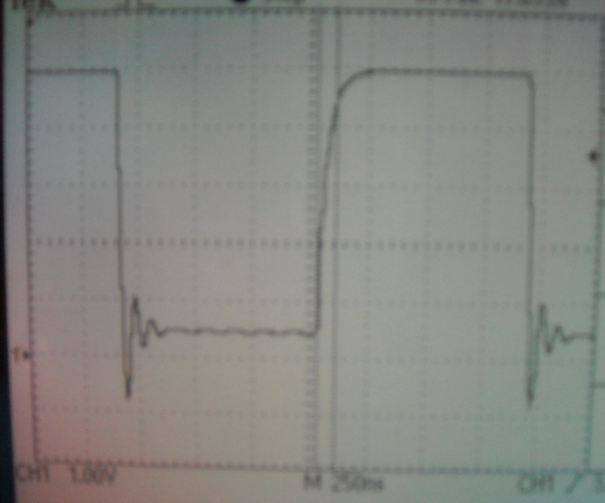 The falling edge (driven low by the open drain output of the STM32) is rather fast (<~20ns). There is distinct ringing occurring. 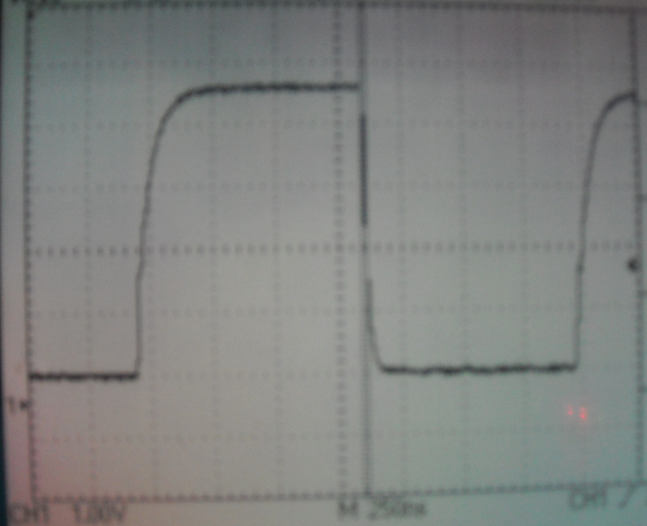 Interestingly, the rising edge (driven high by the 220 ohm pullup) is slower (~100ns). No sign of ringing. 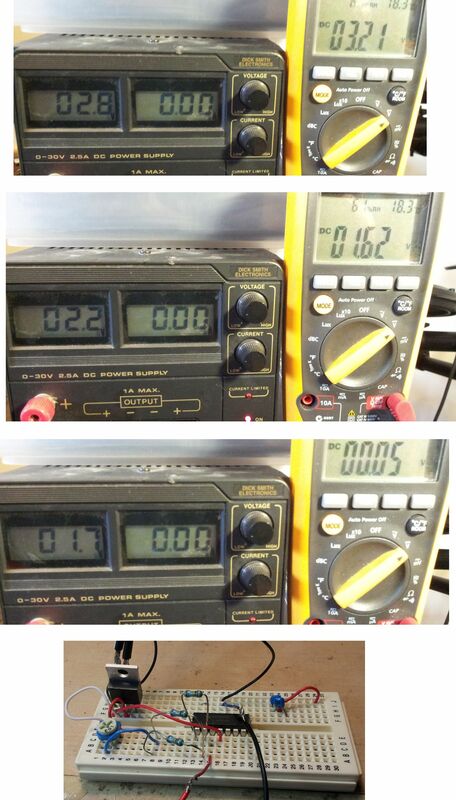 The RC time constant (time for a rise/fall of 66% of max/min) is (220*105)ps= 23.1ns. This suggests that the parasitic capacitance (that caused by the ribbon wire and pcb tracks, totalling close to 2m in length) may be more significant. This is with a series 220 ohm resistor at the source. The falling edge no longer has any trace of ringing. Using 100 Ohm resistor. Better wave shape. The cursors measure ~20ns fall time. The actual test setup is probably only around 1.5m in signal path length. It is useful to note that the "solution" here is not impedance matching but rather making use of parasitic capacitance in conjunction with an applied series resistor to slow down the edges of the SCLK signal to the point where transmission line effects are not observed. This is only possible due to the relatively slow clock used by MIOS32. There is no performance hit as the transfer is using DMA. With an update period of 1ms, there is a theoretical limit of nearly 1000 bits of SRIO that may be transferred. Other points to mention are that the RCLK signal has timing such that it has plenty of time to settle where there are no changes in either DIN In or SCLK. DIN is also physically shorter and is resynchronised with each chip therefore less likely to need a series resistor. The "Working solution" may or may not work for MIOS8 systems where the bit-banged SRIO is considerably faster clocked. I would suggest smaller series R.
And finally, I'd love to hear from any signal integrity experts on any false statements or assumptions or analysis that is unreasonably flawed. Comments welcome! Rather than have the whole keyboard output the same midi channel (hence same sound) we may want to have "left hand ->Bass" and "right hand -> Treble" parts. This is accomplished by having a "zones" in this case upper and lower parts of the keyboard separated at a certain note on the keyboard ("split point"). 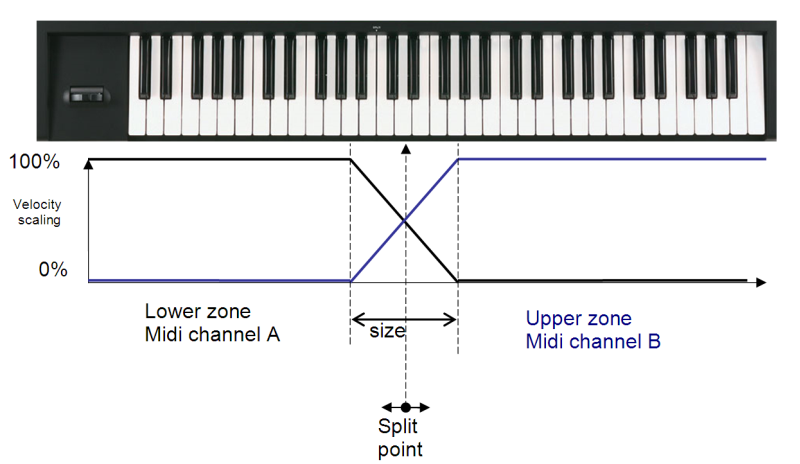 A simple keyboard zone split is simple to define: for example output note numbers above a the split point on a different channel. 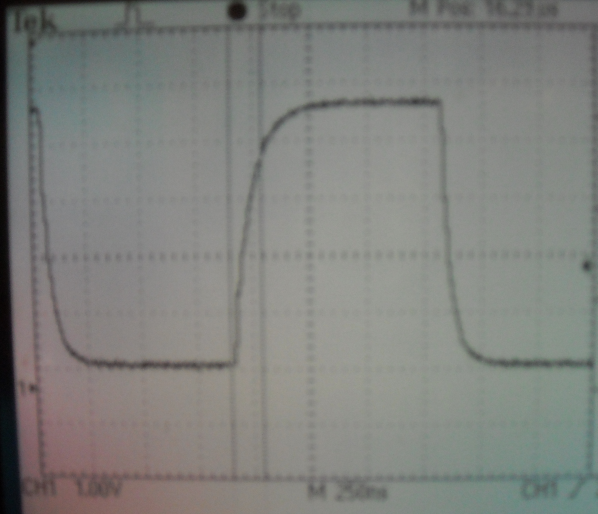 The lower zone is output on the same channel as the input. The upper zone is output on the next channel. Velocity crossfade zones are done with calls to two functions: upper and lower. 1) Download and install openocd 0.2.0 (earliest version after 0.1.0 available as prebuilt *.msi. 2) In Program Files\OpenOCD\0.2.0\drivers is a folder contained in ft223.zip, unpack this folder to a temporary location. 5) Continue to follow Thorsten's guide in uCApps->Bootloader->MIOS32->Experts guide->"Accessing the core via JTAG"->"Quickstart DOS"
Hope this smooths the way for someone! Jaycar is an electronic component retailer in Australia. They have stores in many locations and for this reason are a convenient source of parts. The QP5518 (Jaycar's cat. number) is 2x16 yel/grn LED backlit display. It is pin compatible with the Core32 EXCEPT VDD AND VSS NEED TO BE SWAPPED. Why this is the case I have no idea, but it's sure to bring some to grief. 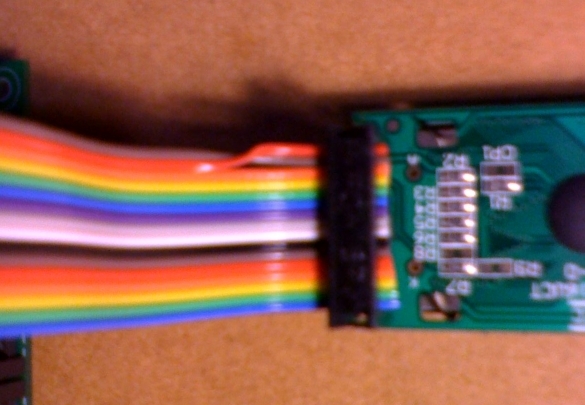 Additionally it is not necessary to connect pins 15,16 from J15 (backlight LED drive pins) as this display has the backlight LED wired with series resistors to Vss and Vdd. The default brightness is quite good, I found. 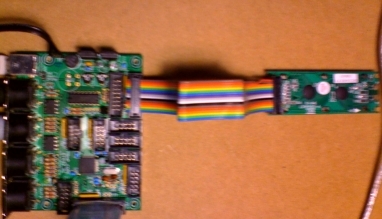 It is possible to remove the LED connections to Vss,Vdd on the LCD PCB and use the variable brightness LED driver of the Core32 J15 pins 15,16 instead.